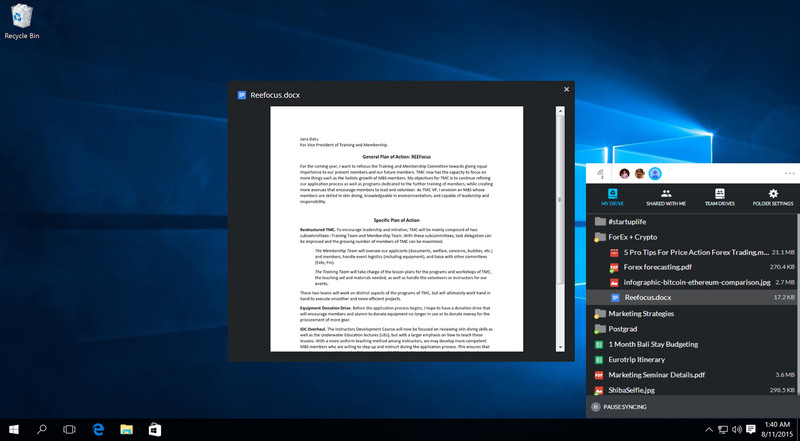 Through the years we’ve refined Insync to be the Google Drive client you see today, but our goals have always been bigger; beyond just syncing files between desktop and cloud. 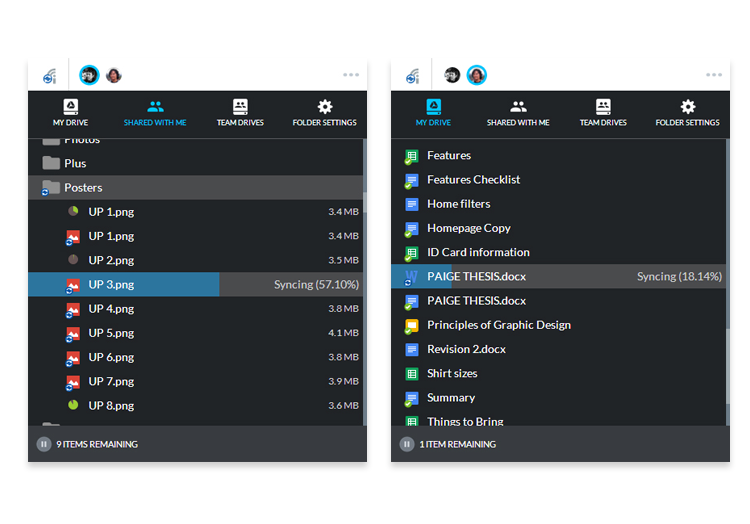 With Insync 1.4, released today, we’ve taken concrete steps towards our vision of reinventing the file manager. 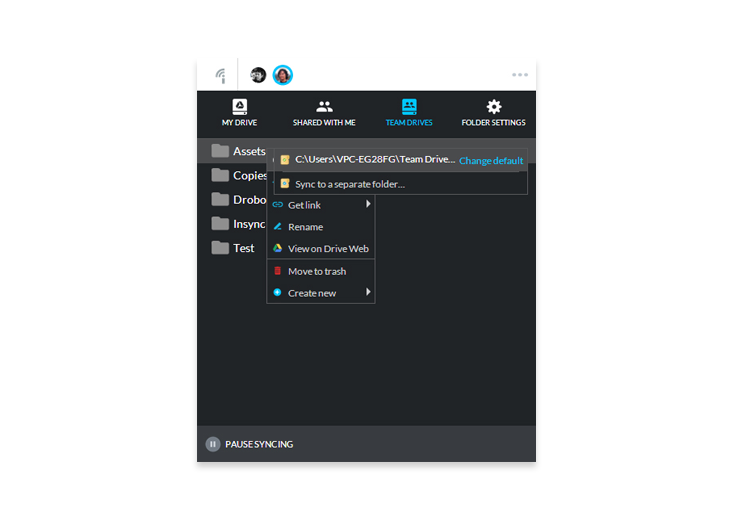 Why reinvent the file manager? 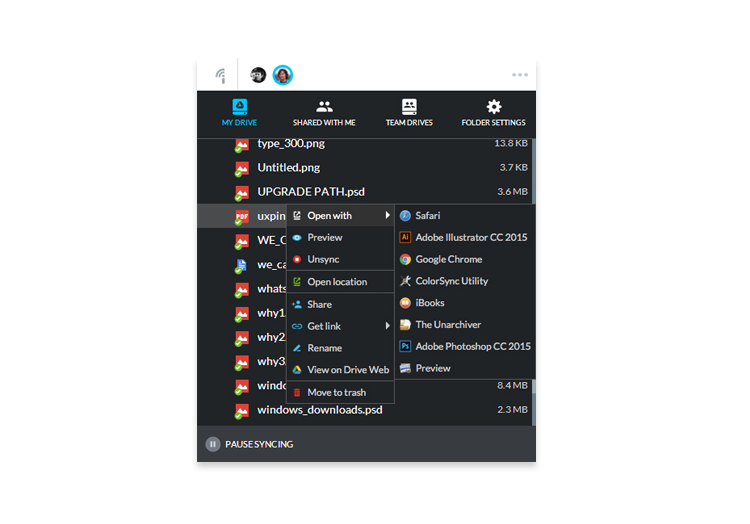 The file manager is a desktop app everyone uses, yet it hasn’t evolved to satisfy today’s needs. 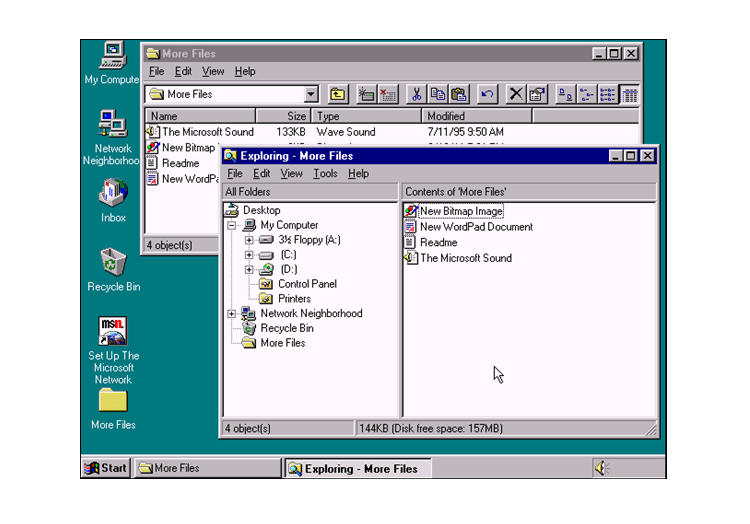 Just look at the Explorer on Windows 95 vs. Windows 10: very little has changed to adapt to the growing sources of data and how we “consume” and manage it. 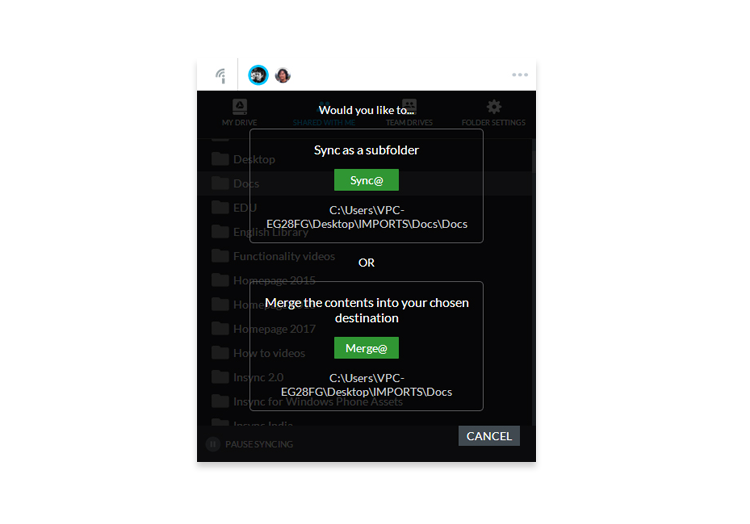 And just like the file manager, the typical sync client remains largely the same even though data have grown exponentially: it works with one cloud service in the background and needs both a file manager and a web app to access and manage the data. 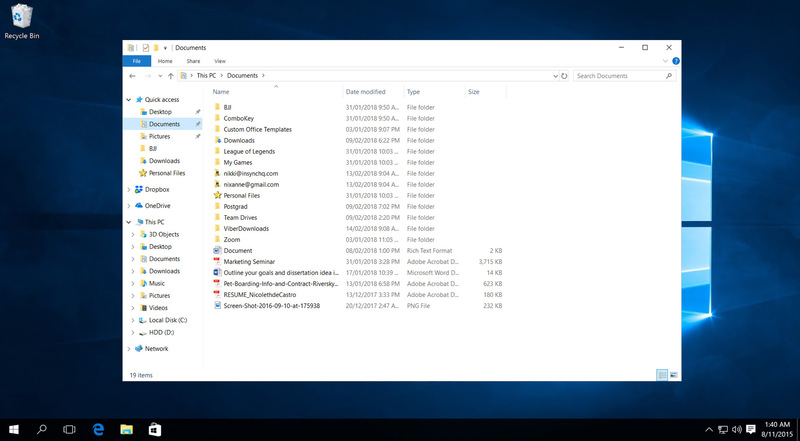 Lack of development in the file manager and the sync client has caused us to begin using different tools to manage different data from different sources -- on cloud, mobile, desktop & peripherals -- creating clutter + wasting time and money. We want to bridge that gap and unify the data and apps with a syncing engine and one “universal interface” (i.e. a modern file manager). 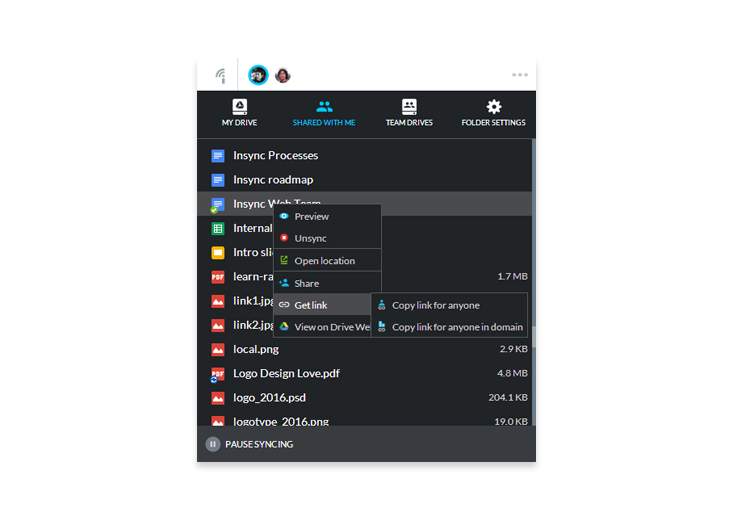 With Insync 1.3, our focus was to provide powerful syncing features that allowed users to access their cloud files via the default file manager. 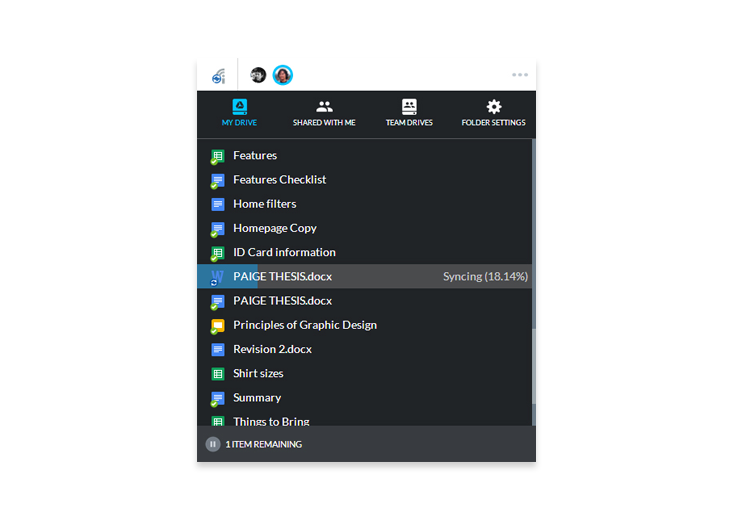 In Insync 1.4, we take it one step further with a new interface that works like a mini file manager -- allowing users to browse, open and manage Google Drive files with just a few clicks, with no need for another browser tab. In short, meet the beginnings of the modern file manager. 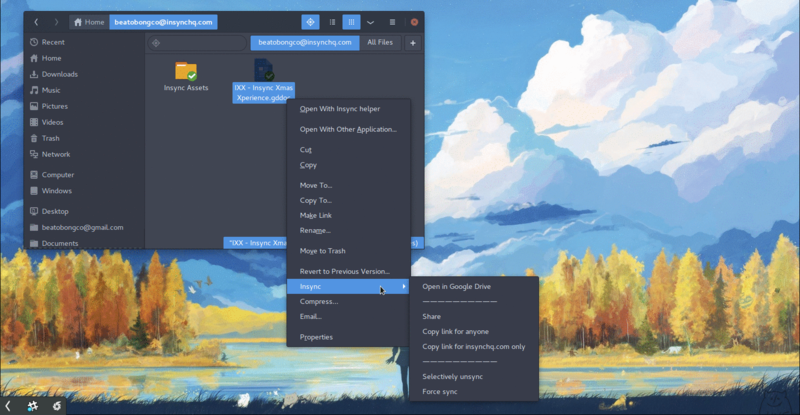 Of course, if you still want to use your default file managers, we got you covered. This feature is universal and works on any operating system. 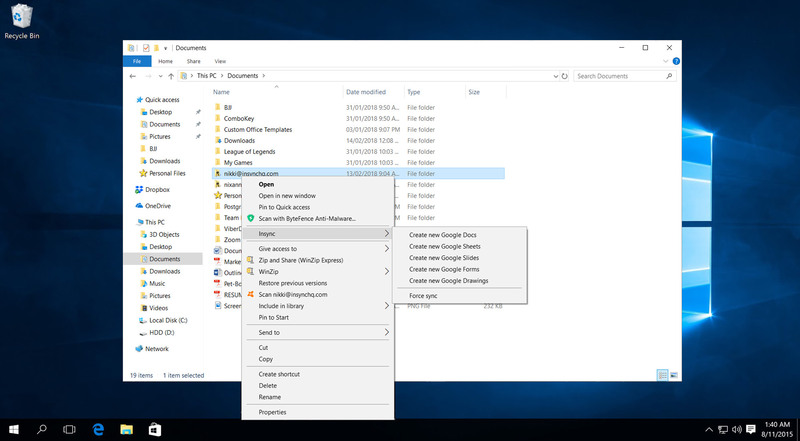 Your synced files will work with the apps you have installed on your computer. 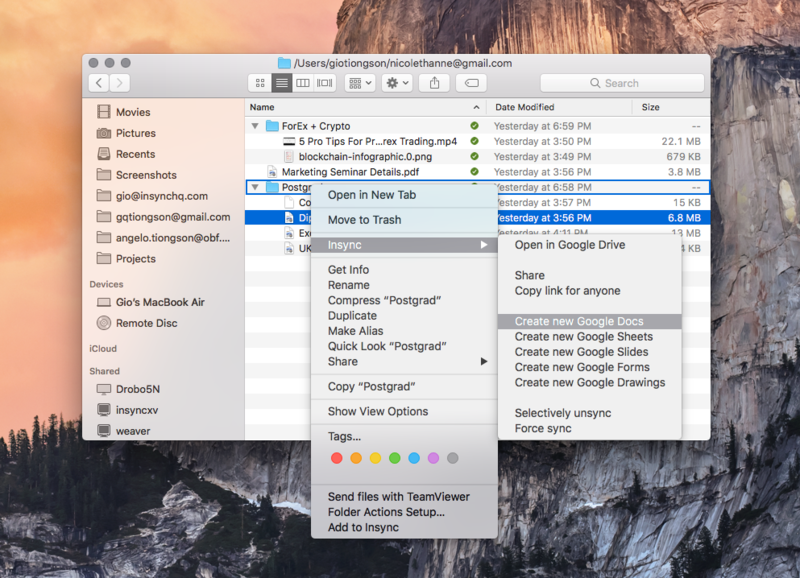 You can also use our context menu to select which app you want to open a synced file with, just like your desktop! Insync 1.4 also brings Team Drives syncing to your desktop! You’ll notice that we placed a special tab just for that in our new UI. The feature is recommended for teams using Team Drives (a fairly new G Suite feature) to collaborate. Our one-time payment Teams license officially replaces our Pro and Business subscription plans which were deprecated on December 20, 2016. Not sure what license you have? Click here. Insync 1.4 is now available on our website. You can use it to update to 1.4 manually. We will be phasing out 1.3 via the 1.4 auto-update rolling out this month so make sure to read about the changes. We’ve created a guide to help you navigate your way through the 1.3 → 1.4 UI changes. New accounts (starting a 15-day free trial) will automatically get a Teams trial to be able test out the whole 1.4 suite, including Team Drives syncing. Prime users can start a 15-day Teams trial from their dashboard. We’ve heard your comments and suggestions on how to improve Insync like bandwidth controls, increasing sync speed (we have done a bit of this in 1.4 already) and many others. We want you to know...we’re working on them.